In New England, seasonal produce is often available at local farms on a “pick your own” basis. Everything from wild flowers to berries, peaches, apples even corn. It’s a pretty organized, fun afternoon (sometimes with pony rides!) and you go home with bags full of fresh, ripe food. For us as Greek Americans, “Pick Your Own” has a bit of a different connotation. Ours goes more like pulling the car over and piling out to troop after Yiayia as she clears a field of dandelions (radikia) equipped with only a kitchen knife and brown paper bag. Less organized (and no ponies) but a heck of a lot of fun! 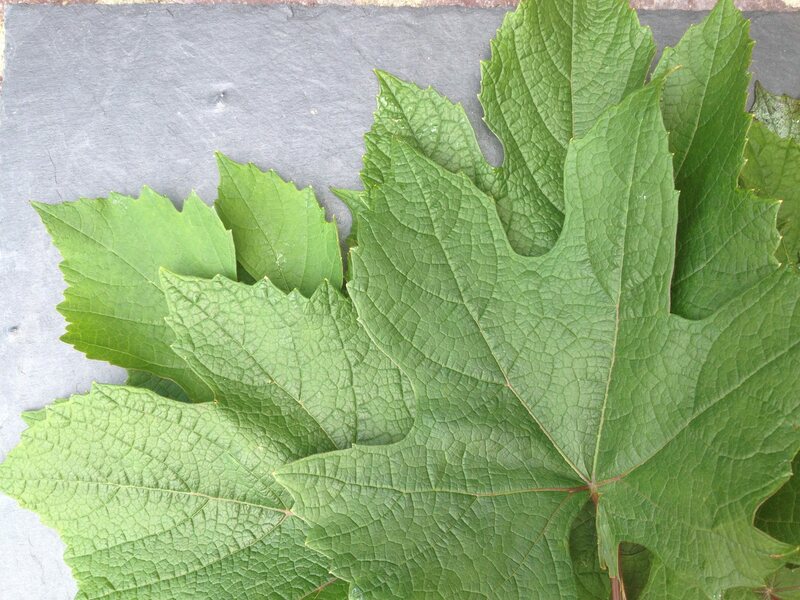 And yes, wild dandelion season is just about over now in early June but up next – grape leaves! Picking and preserving our own grape leaves is such a simple and important food tradition but one fast becoming a lost piece of our shared cultural heritage. More and more we’ve come to rely on the convenience and availability of grocery store grape leaves in jars and cans – I’ve certainly used them more than once myself in a pinch. This year, let’s all try to get our and pick a few of our own! So easy, even little hands can help; a great family adventure and a wonderful way to keep these traditions alive. Just follow these quick and simple steps and you’re on your way to a fantastic meal of dolmades! 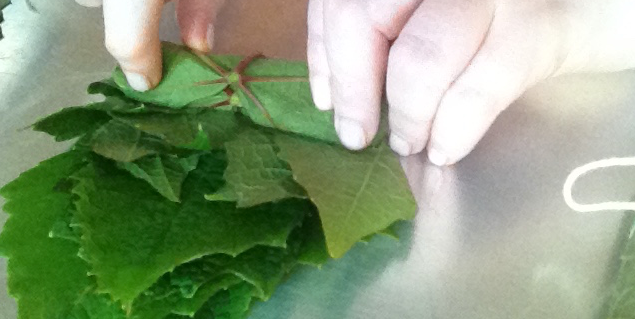 1) Find a vine 2) Pluck the leaves 3) Wash 4) Roll 5) Boil 6) Use or freeze for up to a year – done! 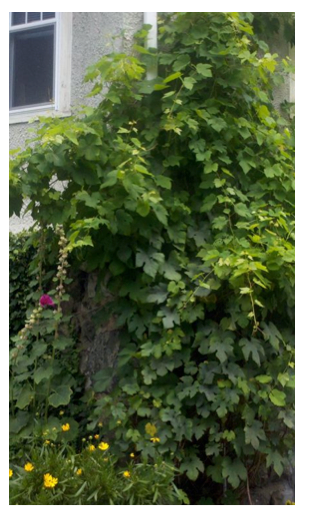 First, look for a wild or backyard grape vine. The term, ‘Wild’ just means the vines that are not cultivated for fruit (grapes). These will give you more tender, flavorful leaves and honestly, you can find grapes vines everywhere if you just look around a bit. 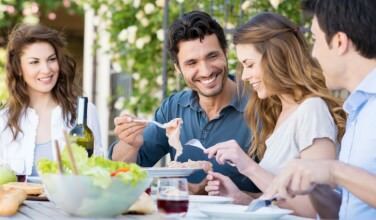 A neighbor or family member’s yard is a good place to start if you don’t have one of your own. Of course get permission to pick if needed, and then gently pluck each leaf’s stem away from the vine. Look for leaves that are whole and intact, no bug bites!, and approximately the size of a woman’s hand. 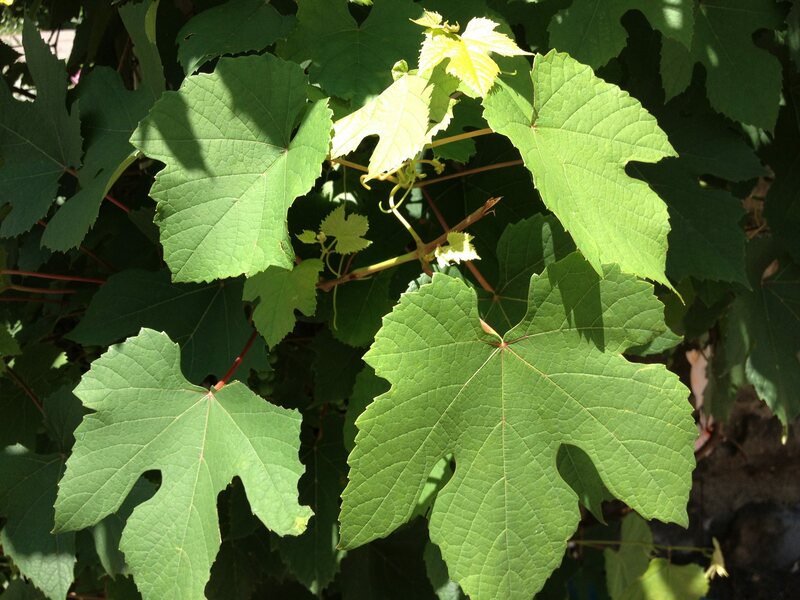 The best leaves will be filled out in the center with leaf segments of 3 to 5 per leaf and a healthy vine will have leaf stems that are a lovely dark pink. Always check to make sure the vine hasn’t been sprayed with pesticides of course, then wash leaves in cold water to rinse off any dirt or sand and gently pat dry. Twist or cut the stems off each leaf. Some stems can be a bit tough so a scissors can be helpful here. Stack leaves of like sizes and shapes about 6-8 high, then gently fold in sides until they almost meet in the center. Carefully roll each stack starting from the stem end up to the top. You should end up with what look like short cigars. Tie individual rolls closed with kitchen twine and repeat until you’ve bundled your entire harvest. Rolling your bundles will go like gangbusters after the first few and even kids will get the hang of this in no time! 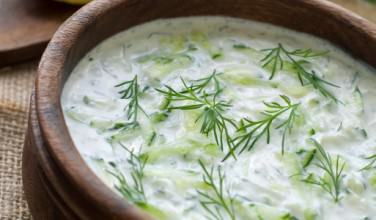 Boil a pot of water with a pinch of salt – my pot of choice for this is a filled 3-quart saucepan. Drop tied bundles into the boiling water and use a fork to submerge each bundle for 10 seconds. You can fit quite a few bundles in a pan of this size. Turn down the heat and simmer for 3-4 minutes until you get a nice dark olive green. Remove from water (kitchen tongs work well for this), drain and gently press down to dry with dishtowel. The leaf bundles don’t absorb water so they should dry very quickly. Wrap bundles loosely in a piece of paper towel and place inside a zip top freezer bag. Store in freezer for up to a year. That’s it! 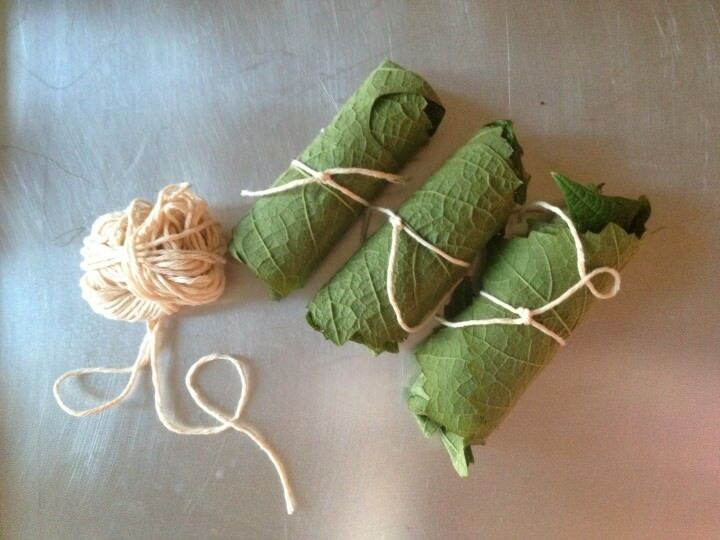 To use: take bundles out of freezer bag, snip off kitchen twine and thaw as needed for dolmades. Allow bundles to thaw on countertop for an hour or two before unrolling. You may have some leaves that do tear slightly. If so, just set these aside and use them to line the bottom of your pot when making your dolmades. 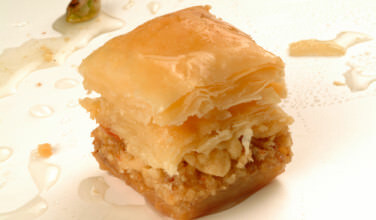 A simple, fun and delicious tradition to continue with the whole family!